Linda L. Raymond, 76, of Plainwell, passed away on Tuesday, May 26, 2015, at Borgess Medical Center in Kalamazoo. A memorial service to honor the life of Linda L. Raymond, 76, of Plainwell, will be held at 2 p.m. on Saturday, Oct. 3, 2015, at 7661 Rolling Meadows Drive in Kalamazoo. Linda was a lifelong resident of Plainwell and a graduate of Plainwell High School. She was an animal lover and enjoyed her time with her cats. Linda also was a voracious reader who could consume books in a day and she liked to spend time watching movies, her favorite TV shows and figure skating. 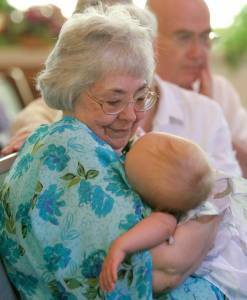 Linda was a devoted friend and spent many years caring for children and pets in the Plainwell and Kalamazoo areas. She passed her love of reading along to many children, including Avery, Anna, Quinn and Grant Hall, all of Kalamazoo, who she cared for for several years and who survive her. Linda will be remembered for her bright spirit, her caring heart and the selfless way she loved those around her. Linda passed away on May 26, 2015, at Borgess Medical Center in Kalamazoo. In addition to Avery, Anna, Quinn and Grant, Linda is survived by Shelley and Rex Hall, of Kalamazoo, as well as other family and several friends. Cremation has taken place.